Here at Co.Design, we’ve posted quite a few infographics by Popchart Lab, on everything from video game controllers to beer to kitchen tools. Y’all aren’t tired of that, are you? No? Great! 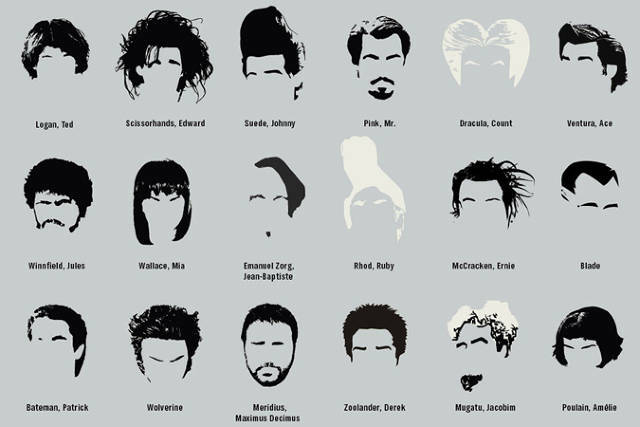 Because they’re out with another, this time dedicated to the most famous haircuts in the history of Hollywood. Which I think proves a few things: For one, our brains are wired for faces, and eyebrows play an astonishingly large role in that. (Just witness how terrifying people look without them, and how similar!) 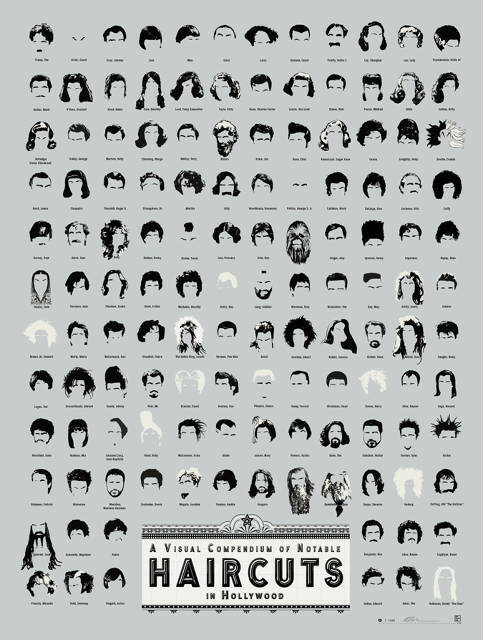 And two, there are so many variations of face and head shape that every haircut really is different on every one who wears it. Which explains why every time anyone you knows goes into a salon with the perfect picture of the hair they want, it never looks as good as they thought.